NATALIE HIU concentrates her practice in the areas of real estate transactions, business and commercial transactions. Real Estate: Advises and assists clients in the negotiation and documentation of real property acquisitions and sales, due diligence, commercial leases (including ground leases and space leases), residential leasing issues, development matters, state and federal land registration and real estate licensing issues; prepares subdivision documentation for resort and residential projects. Business and Commercial Transactions: Represents buyers and sellers in acquisitions and sales of businesses, including asset purchase and sales. Advises clients in starting and maintaining their business, in negotiations and documentation of contracts and in enforcement of agreements. Government Relations and Land Use: Represents clients in various matters dealing with State and County governments, including governmental relations, obtaining governmental easements, and land use issues. 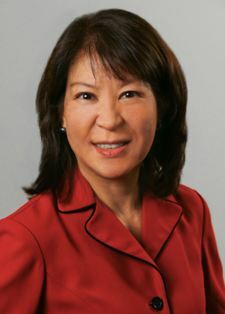 Before returning to private practice, Ms. Hiu worked for three years with the City and County of Honolulu as a Deputy Corporation Counsel, where she handled real estate transactions and construction matters on behalf of the City and advised and represented the administration, the City Council and certain commissions on various matters. Before attending law school, Ms. Hiu worked in the transportation industry for seven years both in Honolulu, Hawai‘i and Santa Barbara, California.